Prosper is a recently-completed ESPRIT Framework IV research project that investigated software architectures for component-based, embedded formal verification tools. The aim of the project was to make mechanized formal analysis more accessible in practice by providing a framework for integrating formal proof tools inside other software applications. 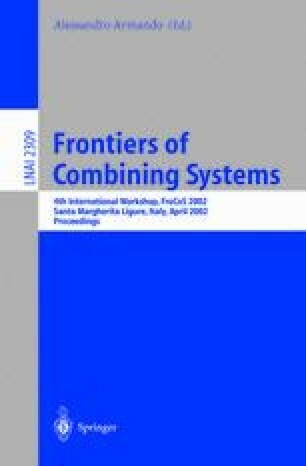 This paper is an extended abstract of an invited presentation on Prosper given at FroCoS 2002. It describes the vision of the Prosper project and provides a summary of the technical approach taken and some of the lessons learned. L. Dennis, G. Collins, R. Boulton, G. Robinson, M. Norrish, and K. Slind, The PROSPER Toolkit, version 1.4, Part of deliverable D3.5, ESPRIT LTR Project Prosper (26241), Department of Computing Science, University of Glasgow (April, 2001). Available as prosper1-4.ps.gz at http://www.dcs.gla.ac.uk/prosper/toolkit/. Microsoft Corporation, Microsoft Excel, http://www.microsoft.com/excel. N. Mokhoff, ‘Intel, Motorola report formal verification gains’, The EE Times Online, http://www.eetimes.com/story/OEG20010621S0080. J. O'Leary, X. Zhao, R. Gerth, and C.-J. H. Seger, ‘Formally verifying IEEE compliance of floating-point hardware’, Intel Technology Journal (First Quarter, 1999). Available online at http://developer.intel.com/technology/itj/.